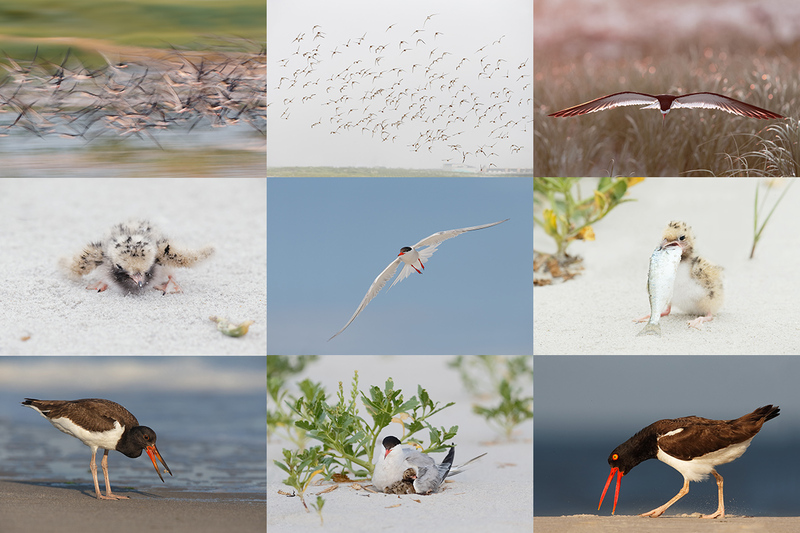 Voting Continues today in the beyond amazing Action and Behavior category of the BIRDS AS ART 2nd International Bird Photography Competition. Click here to vote. It is 3:30am in Pullman, WA as we get ready to head out early to Steptoe Butte. This getting up early is not for sissies! This post marks 190 consecutive days with a new educational blog post. With so many folks getting in the habit of using our B&H links and our Amazon logo-links why quit now? To show your appreciation for my efforts here, I do ask that you use our the B&H and Amazon affiliate links on the right side of the blog for all of your purchases. Please check the availability of all photographic accessories in the BIRDS AS ART Online Store, especially Gitzo tripods, Wimberley tripod heads, and the like. We sell only what I have used and tested, and know that you can depend on. We will not sell you junk. We know the tools that you need to make creating great images easy and fun. And we are always glad to answer your gear questions via e-mail. This post took 2 hours to prepare. Enjoy! 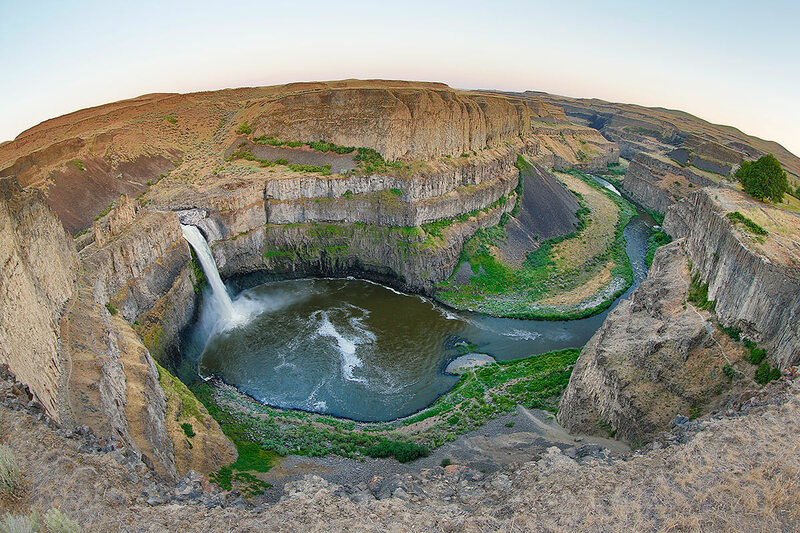 This 3-frame in-camera Art Vivid HDR image was created at 8:35pm yesterday, June 7, 2014 at Palouse Falls State Park, WA, with the tripod-mounted Canon EF 8-15mm f/4L Fisheye USM Fisheye Ultra-Wide Zoom Lens at 15mm and the Canon EOS 5D Mark III . ISO 400. Evaluative metering +1 1/3 stops +/- two stops around the base exposure of 1/5 sec. at f/20 in Av mode. Live View and 2-second timer. Gitzo 3530 LS tripod with the Giottos MH 1302-655 (Tiny) BallHead. Wimberley P-5 camera body plate. Live View (for mirror lock-up) with the 2-second self timer. AI Servo Rear Focus AF on the waterfall and recompose. Click here if you missed the Rear Focus Tutorial. After our great morning at Steptoe Butte the plan was to make the 1 hour, 45 minute drive to Palouse River Falls State Park, scout around, and then return to the splendor of Steptoe. We did, however, run into some different but wonderful splendor. We scoped out several view points that looked as if they would have great potential either on cloudy days or when the sun was down. Waterfalls are best avoided on sunny days. After some discussion we decided skip Steptoe and stay at the state park and wait for sundown. To kill a few hours we headed to Lyons Ferry Marina for some snacks. There we found some pleasant folks and a plug for my laptop. We wound up staying for dinner as it was too sunny for waterfall; the chili was great and plentiful. Cheryl and Lynn each enjoyed their salad. This 3-frame in-camera Art Vivid HDR image was created at 8:41pm yesterday, June 7, 2014, just 5 minutes after the image above. Again I used the tripod-mounted Canon EF 8-15mm f/4L Fisheye USM Fisheye Ultra-Wide Zoom Lens, this time a 8mm, and the Canon EOS 5D Mark III . ISO 400. Evaluative metering +1 1/3 stops +/- two stops around the base exposure of 1/5 sec. at f/20 in Av mode. Live View and 2-second timer. While Denise, Lynn, and Cheryl hung out at the primary vantage point, I explored and found a few nice mini-scenes, most in the shade. As the sun sank lower in the western sky the light on the canyon walls got richer and richer, the walls got prettier and prettier, and I made some nice in-camera HDRs. Just before the entire river canyon was in shade I headed up to meet the ladies. Setting up the tripods with the short and ultra-short zoom lenses was quite precarious and somewhat dangerous as there is no fence. If you lost your balance toast you would be. It was downhill and gravelly to the edge so we were all very careful not to go swimming with the fishes, or more accurately, swimming with the rocks. Denise had the one lens that I did not: the 16-35 f/2.8. 16mm turned out to be the perfect focal length. I started with the 8-15 as a true fish eye at 15mm on a full frame camera. Getting as close to the edge as possible I still had someone’s tripod leg in my frame. That’s what the Patch Tool is for. The next obvious choice was to go circle lens, the 8-15 at 8mm with a full frame camera. Now I needed to get even closer to the edge. So I did. Was it worth it? 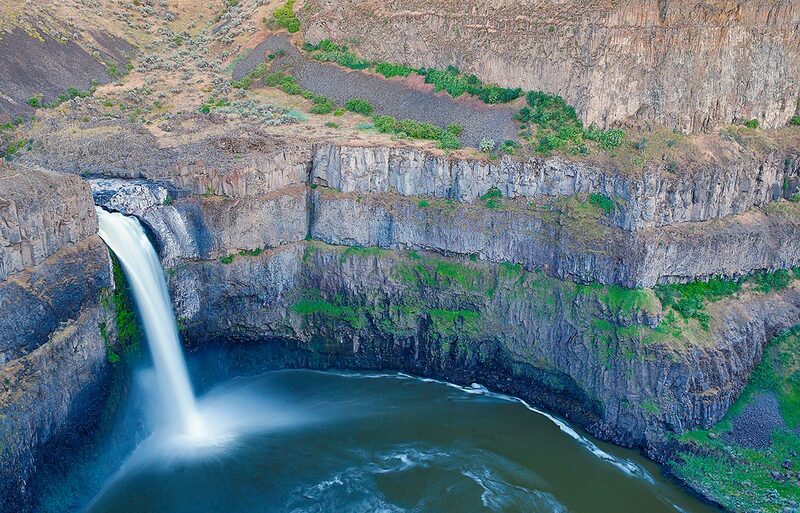 This 3-frame in-camera Art Vivid HDR image was created just before 9:00pm yesterday, June 7, 2014 at Palouse Falls State Park, WA, with the tripod-mounted Canon EF 24-70mm f/2.8L II USM lens at 35mm, and the Canon EOS 5D Mark III . ISO 400. Evaluative metering +1 stop +/- two stops around the base exposure of 8 sec. at f/16 in Tv mode. Live View and 2-second timer. Well after sunset I went to the 24-70 while and was practically working in the dark. Finally coming to our senses we packed up and headed back to Pullman. Everyone was dead to the world. Cheryl and I, sitting in the back, both fell asleep for a while and woke up with stiff necks. Lynn nodded off and on. Amazingly, Denise Ippolito drove the whole way and got us safely back to town. With all of us so tired that we hurt, we simply could not find the Holiday Inn and Suites. That despite two GPS devices. Can you say ” stumbling, bumbling, very tired idiots”? I was near tears with exhaustion as were Lynn and Cheryl. Denise troopered on. After driving around in circles and passing the same places three times, the motel magically appeared in sight. We were not in our rooms until 11:15pm. With a 3:45am wake-up call it turned out to be a very short night…. The next morning at Steptoe was indeed magical. Please take a moment to leave a comment and let us know which of the 3 images is your favorite, and do let us know why. I like the first one best. My first thought when I opened it was, “someone oughta put a model train around that!” Very creative…all 3! 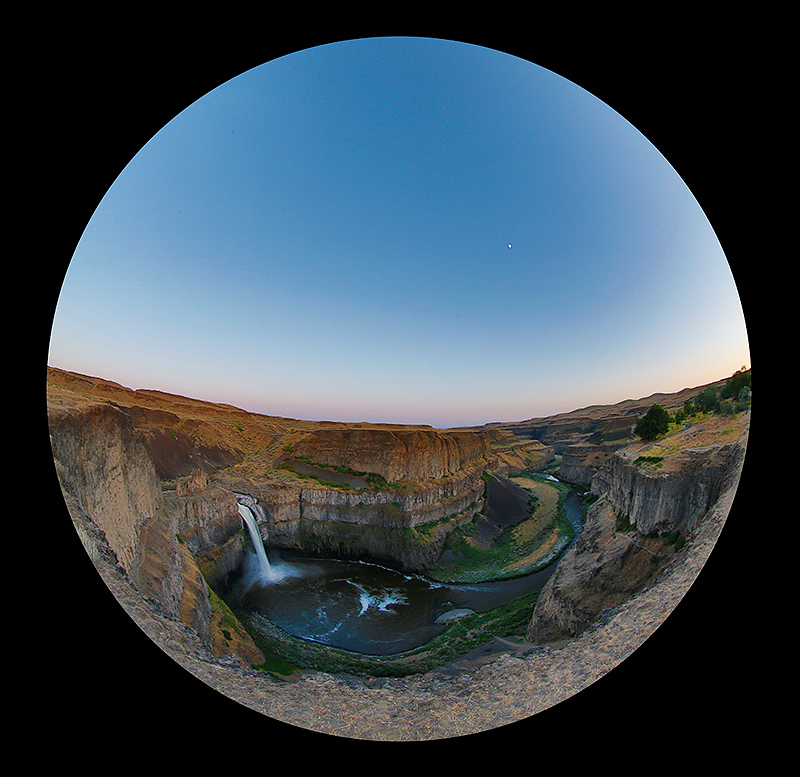 Great fisheye pictures of the Palouse Falls. You had a great perspective, much better than the one we had many years ago when we were in Palouse. My favorite image is the second one! Love the 15mm fisheye perspective!!! Being able to see the surrounding terrain with the rounded horizon works very well for this scene. Lovely work!!! Thanks Andrew. How are the frogs doing???? The frogs are croaking up a storm 🙂 I am heading out in a few minutes for some more late night fun at the frog pond.